Choosing a hosting company is vital when moving your QuickBooks and accounting data into the cloud to reap benefits such as remote accessibility, speed, better security, and 24×7 availability to the data. With so many different things to take into consideration, it’s difficult to research hundreds of accounting application hosting providers offering almost similar services. Undoubtedly, cloud technology has made it possible to expand businesses, improve data security, reduce IT hassles and save time and cost, but this can be achieved by selecting the right cloud hosting provider for your QuickBooks and accounting data. 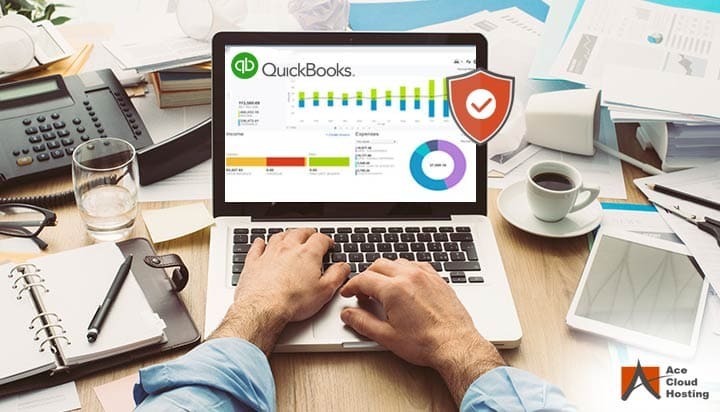 Speed (performance) and security are two important key factors among others that one should consider while looking for QuickBooks Desktop hosting service. 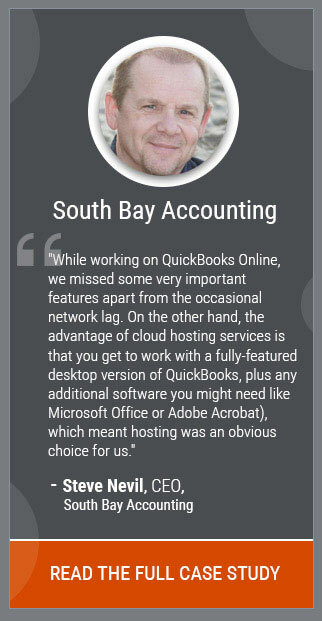 When your QuickBooks data and software is hosted on slow servers, often push your accounting work down because you have to wait for updating and saving data in QuickBooks files. You end up wasting your time, money and efforts if you frequently face server downtime. If multiple users are facing the same issue on the server, it means a significant work-time is lost. Your data might not be available (or backed up) at all the times if hosted on the slow server. A sluggish cloud hosting provider can make you vulnerable to all forms of cyber attacks such as Distributed Daniel of Services (DDoS) and Ransomware. What if you delete your data accidentally, your hosting provider should be capable of providing you the exact copy of your most recent data. What are the technologies used in data centers and servers? How your SLA is different from your competitors, especially when it comes to data availability? How do you ensure service availability? How frequently do you take QuickBooks data backup? Who do I contact when I face any performance (or speed) issue and what are the mediums to contact? What is the location of your data centers? Do you host data inside the US or outside the country? What industry certifications do you have? What security mechanism do you have in place to secure the data? How your SLA is different from your competitors, especially when it comes to data security? Do you have certified security experts in your IT team? What is your emergency response process in case you have a security breach? Do you have business continuity and disaster recovery in place? 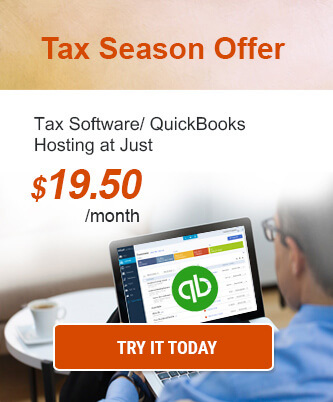 Who are the privileged administrators and users who will access my QuickBooks server? Working on slow servers is irritating. Consider hosting your QuickBooks data and application to an established, specialist, trusted and Intuit authorized provider. It is also important that the provider is always available to help and assist you in every situation. Ace Cloud Hosting is a proven QuickBooks Hosting provider when it comes to security, support and service uptime. With 99.999% uptime, multiple data centers located in the US, multi-level infrastructure redundancy, data backup, and high-performance computing servers, we deliver a seamless and super fast access to your QuickBooks data and application. We have partnered with data centers in the US that employ modern and advanced security mechanism such as firewall, multi-factor authentication, Intrusion Detection and Prevention System (IDS/IPS), and constant monitoring. Ace Cloud Hosting is also available 24x7x365 even on weekends so that you can hit up our experts anytime with your issues. Deepanshu Gahlaut is a digital marketer and technical writer at Ace Cloud Hosting. He is passionate about exploring and writing about startups, social media and technology including cloud computing, cloud accounting and VoIP. His writings display the knowledge and challenges that he collects with his day-to-day experiences.